﻿ Surya Dewata Beach II, Bali | FROM $16 - SAVE ON AGODA! Have a question for Surya Dewata Beach II? The Surya Dewata Beach II is a perfect choice for the ultimate Bali experience. The property has eight bedrooms and three floors. It is near Windy Sun Surf School, Legian Beach, Ketut Art Shop 14, Pasar Seni UbadArt Market, and Alta Moda Fabric Store and Tailor. The Surya Dewata Beach II features air conditioning, so your stay will be comfortable. With Indonesian, American, and Asian restaurants in the area, you can enjoy different tasty cuisines during your trip. The Surya Dewata Beach II has free Wi-Fi in all rooms, in addition to Wi-Fi in common areas, allowing you to access the internet without splashing out on roaming and data costs. Offering guided tours, the property is a great place to stay to learn about your surroundings and see everything you can while you're here. With public transportation close to the property, you can get anywhere you need with ease. The nearest airports are Ngurah Rai International Airport (DPS) and Lombok International Airport (LOP), which are situated 5 km and 120.5 km away. Very dirty and old room. Uncomfortable bad. Window cant be licked and it has assess to public balcony. It needs to be totally renovated. I wouldnt recommend it. pleasant stay. suitable for backpackers who are not particular and tight on budget. there are better hotels in the area. stay away or run for your life!! the room had a suffocating smell of mold and cigarette smoke. the sheets had hair and stains on them. the pillows looked like they were ran over by a muddy truck tire and the gray spotted pillow case did not come close to camouflaging it. mirror in the bathroom was super clear- could not tell if i had a reflection. no wireless internet, no breakfast, no service. Not bad, but it was so creepy the bathroom. But so quite. Dirty but hotel. Really dirty and old rooms. But was cheap and centrally located. Pleasant enough. Staff were very good. Cheap enough for what is offered. I really could not recommend this hotel. Although it is centrally located and close to the beach. I'll start on a positive note. There was hot water and a clean towel. The room is very large and there is a TV with Indo channels only. The bed sheets had not been changed as there were black hairs all over the place. There was gum on the floor and the toilet was broken. The air con did work! When I opened the drawer beside the bed, I discovered cigarette butts...lovely! I ended up sleeping at a friend's place since the room was so dirty. All that I expected and good value for the Tariff. 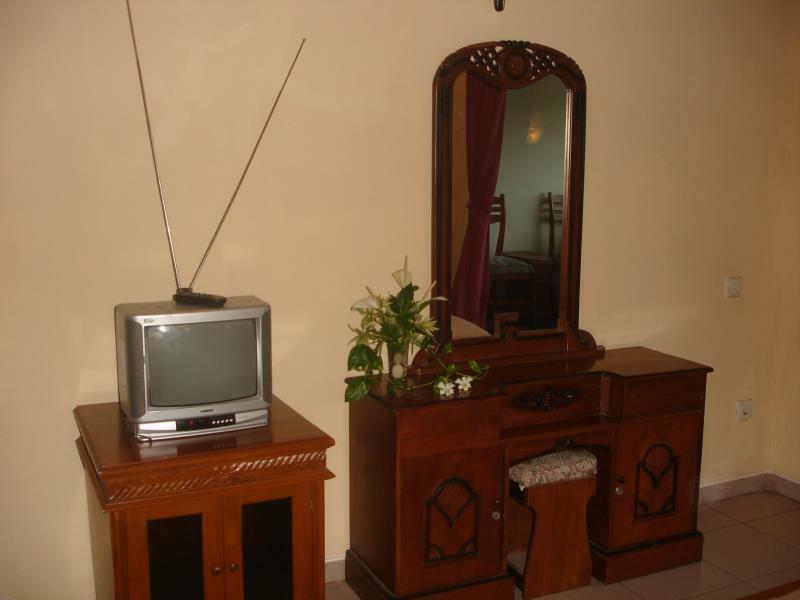 Large room with good air-conditioner, big bathroom with hot water in supply, plus a refrigerator. Motor Scooters on hire at the front entrance,the Balinese staff are very helpful and are accessible pretty much 24/7, which is great for street level information.